Ever since the removal of PayPal option in withdrawing ClixSense earnings, I keep on looking for other ways to withdraw it with a minimal fee. My first option before was to use Payoneer. However, it costs $2 [fixed] transaction fee to withdraw from ClixSense to Payoneer. Maybe this will be the best option for high earners but since I am just a small timer yet who withdraws minimum amounts, I thought Payoneer was not the one I need at this time. Fortunately as I was reading some forum posts from our fellow Pinoy ClixSense earners, somebody shared how she withdraws her earnings from ClixSense to GCash. Since I do have a GCash account as well as a GCash MasterCard [just in case I want to withdraw money in local ATMs], that is a good news for me. To make it possible, I only needed a Skrill account which is one of the withdrawal options available on ClixSense. I just followed the registration process found in their website [this is my referral link, if you do not wish to sign up under my referral link you can just simply go to https://www.skrill.com/]. Just make sure that your name in your Skrill account is the same as your name in your GCash account. After my successful registration and verification of my email address, I withdrew my earnings from ClixSense to Skrill. It took me 2 days to receive it. Requested it on August 29th and it has been added to my Skrill account on August 31. 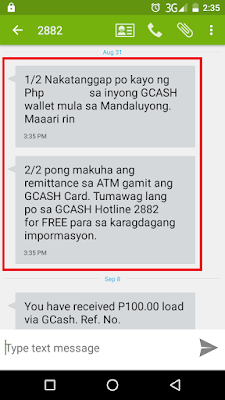 Then I transferred it to my GCash account by adding my GCash registered mobile number. 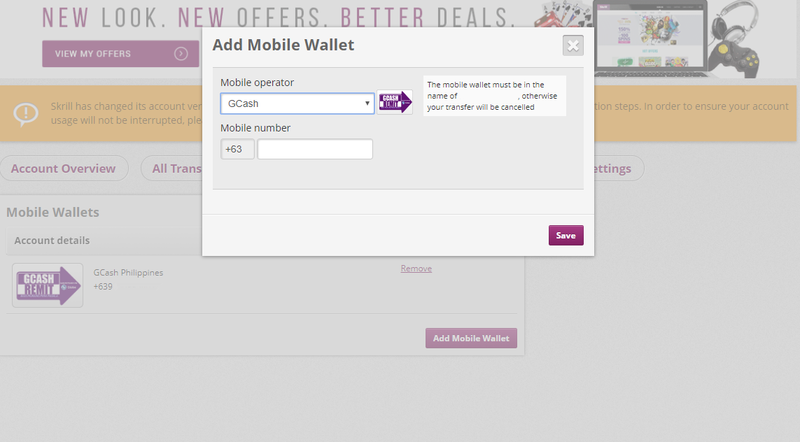 Click the Add Mobile Wallet. 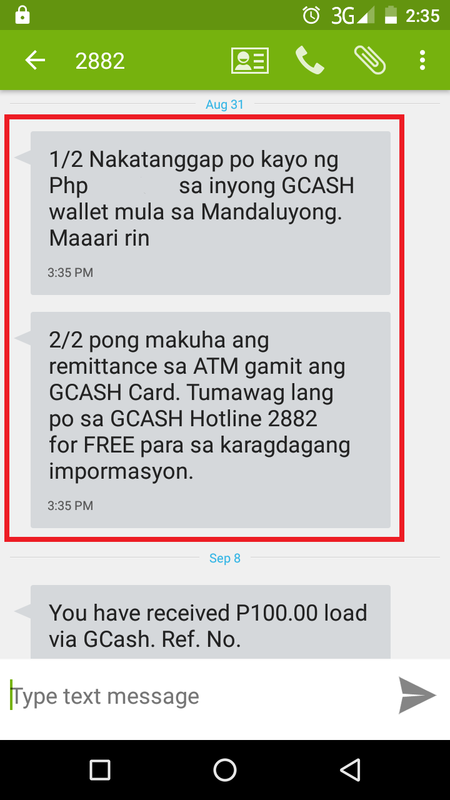 Enter your GCash registered mobile number. Your name must be the same, Skrill = GCash registered name. Then go back to Account Overview and select the Withdraw button. It only took me less than an hour to successfully receive my earnings [already converted to Php]. Yes, I did my first withdrawal on August 31. I knew it was my Skrill withdrawal because I knew the converted amount of my withdrawal upon doing the process. 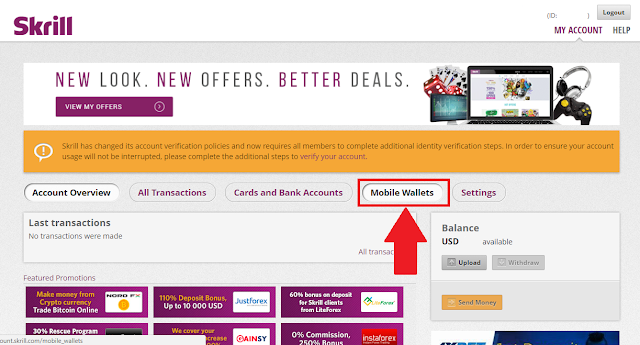 You can check Skrill's conversion rate here. It fluctuates often so be sure to check regularly before you withdraw. And you will receive an email notification from Skrill as well. Oh, and the first time you transfer from Skrill to GCash is free of charge. And that is it ya folks. Found my screenshot of my withdrawal from Skrill to GCash. It is 3.99% fee on your succeeding withdrawals. But your first is FREE.